Left: Iain Elliott of Canford Audio, UK; 2nd left: Marcus Brooke of Sonifex; 3rd left: Ulrich Otte of orangetec, Germany; and far right: Richard Butlin of Sonifex. 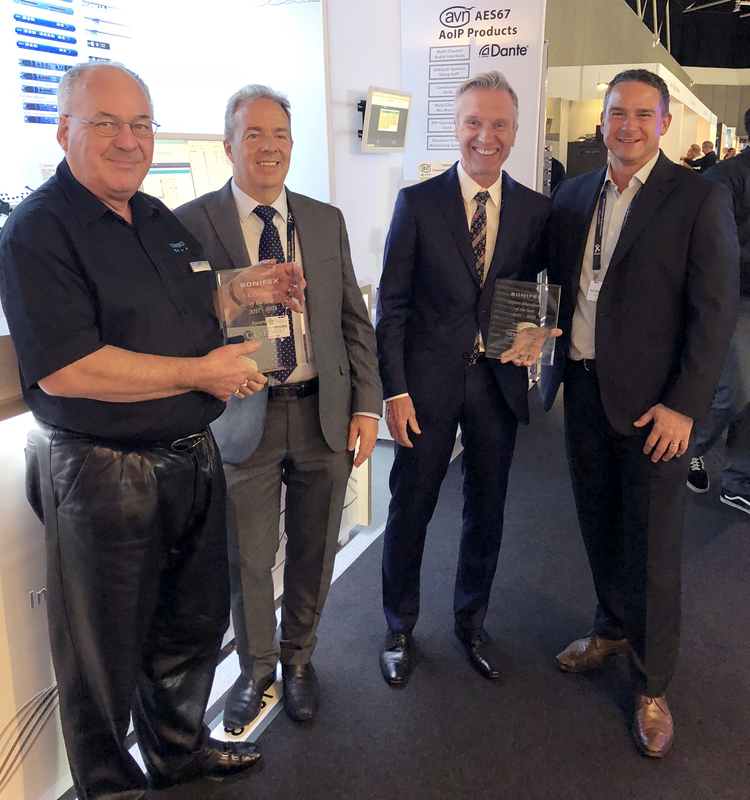 The Sonifex Distributor of the Year Awards for 2017-2018 were announced at the IBC 2018 exhibition. Canford Audio received the award for the best UK distributor and orangetec, based in Stuttgart Germany, received the award for the best export distributor. Presenting the award to Iain Elliott, Managing Director of Canford Audio, was Marcus Brooke, Managing Director of Sonifex.